Happy New year 2016, Montreal. 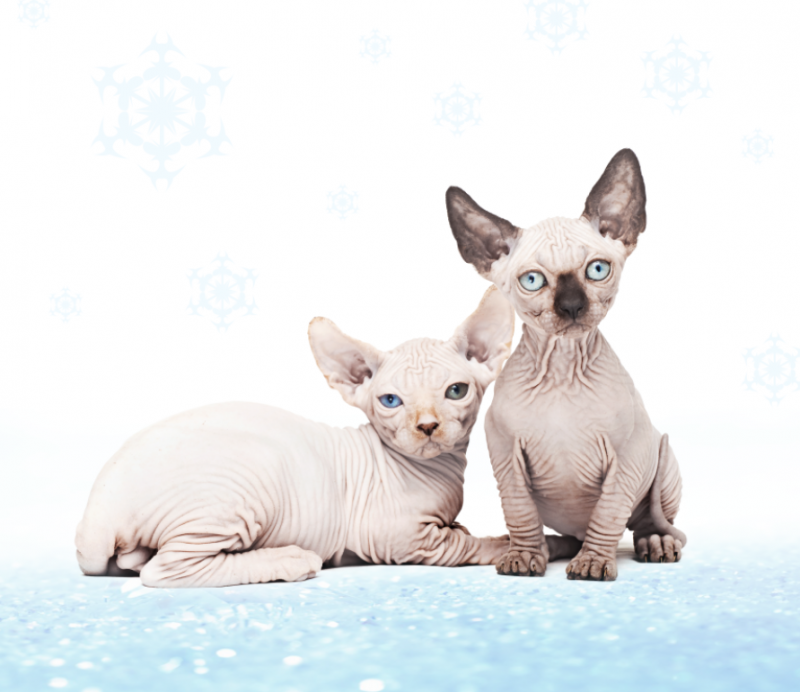 As the frosty tones of January start to take hold of the city, here are two delicate sphynx brother kittens with eyes as blue as the ice on the St-Lawrence river. I hope you enjoy the photo. And before you ask, they were not photoshopped to stand together and yes their eyes really are that color. And they were really, really tiny; one could fit in the palm of my hand.